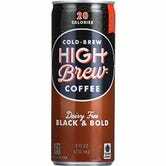 At recent 3-day outdoor trade show The Outpost, I basically subsisted on High Brew Mexican Vanilla (and High Brew Mexican Vanilla mixed with Bulleit). 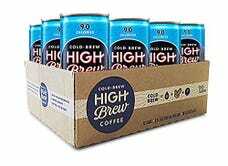 High Brew uses a true cold brewing process, along with fair trade beans and the right coffee to dairy to sweet ratio. The Mexican Vanilla isn’t a sugar bomb that buries the coffee notes, and the Black & Bold isn’t a bitter mess, which is what you get from most flavor analogs in the competitive set. My favorite addition to the line is the Creamy Cappucino, which has 12 grams of protein and 3 grams of fiber in its 120 calories. Sadly, that’s the only flavor that hasn’t made it on to Amazon yet, but the rest are available through Subscribe & Save. Yes, I have a case of Mexican Vanilla on the way.